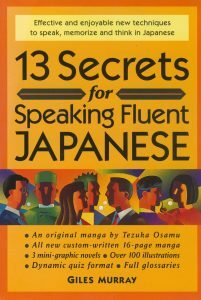 Continuously in print since 1998, 13 Secrets for Speaking Fluent Japanese presents tested shortcuts for Japanese language acquisition. Designed for people who are fed up with orthodox textbooks, it offers new strategies for thinking, speaking and memorizing Japanese quickly, efficiently and independently. The book contains over 100 illustrations, two manga comics, and numerous quizzes for self-testing. To get a taste of the book, watch the video version of If: The Adventures of a Gaijin in Tokyo. This particular chapter, Secret #5, is designed to help you master hypothetical—or ‘if’—forms.